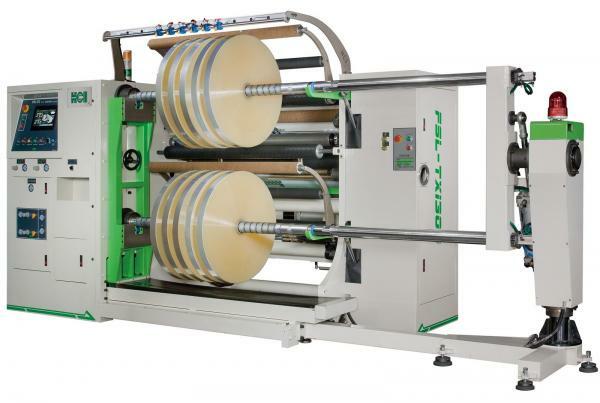 800 Rewind Slitter Rewinder(FSL-TX) - HCI Converting Equipment Co., Ltd.
800 Rewind Slitter Rewinder has been purposely designed for large rewinding OD requirement, for slitted product OD as large as 800mm. With a solid unwinding stand and an all new rewinding shaft structure, the slitting speed can now reach up to 400m/min. It is suitable for slitting and rewinding of all kind of flexible packaging film, industrial web, electronic material and film roll of uneven thickness. Strengthened structure of unwind stand which can handle the weight of jumbo roll up to 1 ton. Whole unwind stand can move horizontally, left and right each75 mm. It can ensure the accuracy of slitting position. The unwind tension is sensed by load cell and compared to setting value. 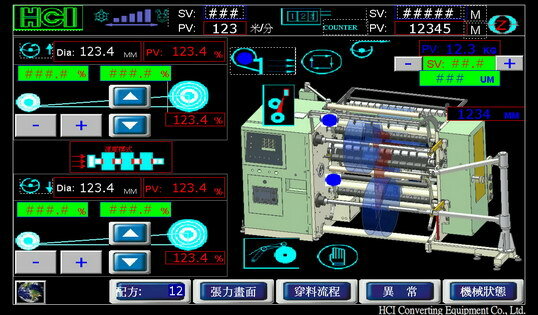 The PLC will increase or decrease it according to the calculating difference automatically. It can maintain the stable tension output during whole slitter rewinder operation. 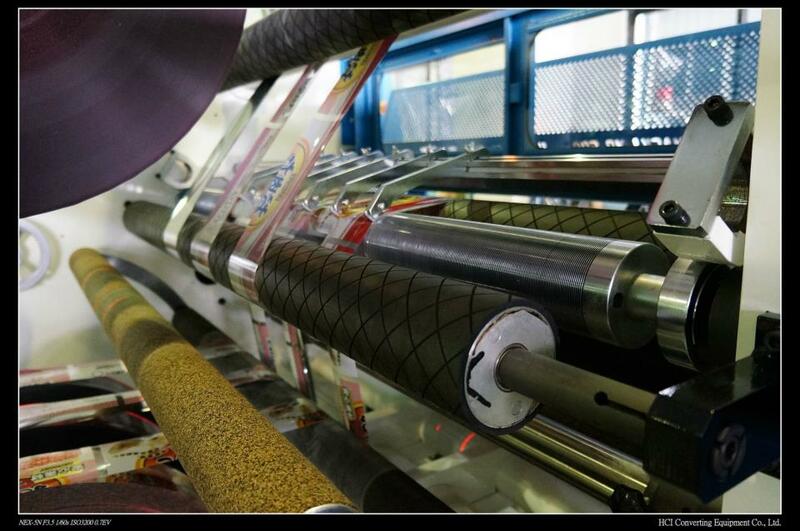 Tension isolation point through pneumatic nip rubber roller, giving perfect isolation between the unwind and rewind. It also ensures no slippage or scratches when slitter rewinder running. New design of slitting structure, the setting of cutter can be done in the front side. Minimum the flowchart after slitting ensure the smoothest cutting edge. Equipped with vacuum type trim disposal. Specially designed ejectors with powerful ventilators remove the slit edge of web. Discharge the electrostatic charge when plastic material is being slit and rewound. There are two sets of anti statics brushes, one prior to upper rewind shaft, the other prior to lower rewind shaft. 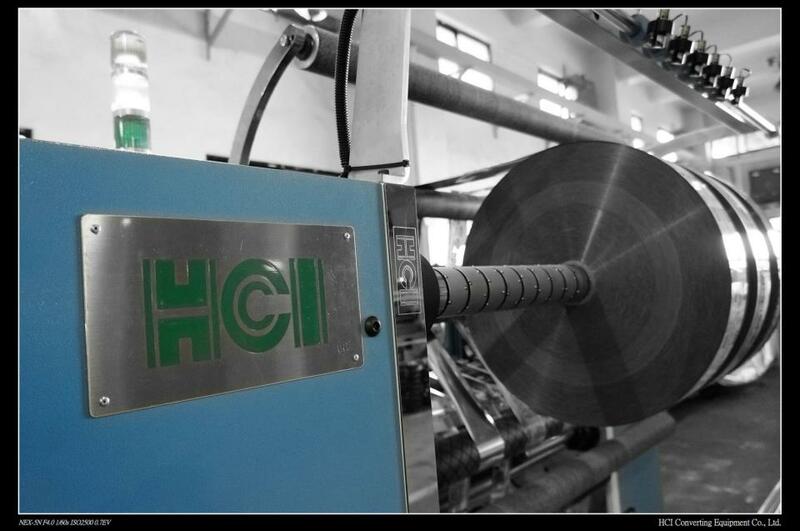 Automatic calculation control for rewinding tension, employs HCI's new developed precision ball type friction ring, combined with automatic inner pressure compensation. 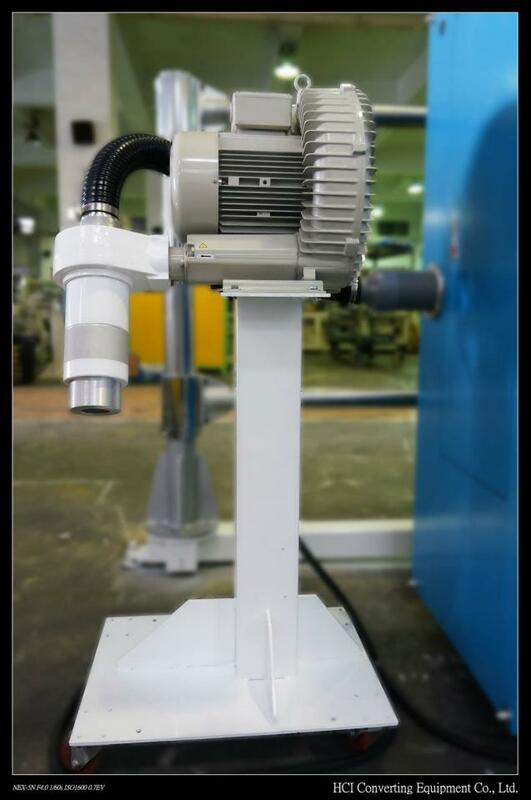 Two independent rewinding motors and an intelligent rewinding diameter control system assure extremely stable rewinding tension without the need to adjust it when speed and diameter varied. 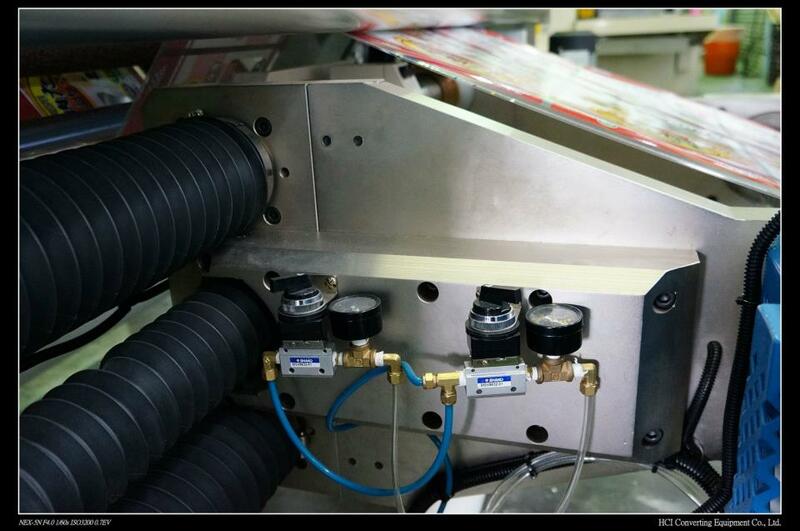 Equipped with 2 sets of pneumatic lay-on roller. It guarantees full contact between lay-on roller and slit roll. To built the good slit roll structure. The shelf helps heavy rolls unloading as well as efficiency during slit roll exchange. Unwind end roll and web break auto detect and stop function.